Previewing a VR game is weird, since I know everyone comes into VR with essentially a different level of experience. Maybe you’ve never used VR before, maybe you have but don’t have experience with a VR game like this, because I think specifying genre is even more important when you’re in the space where it’s happening. 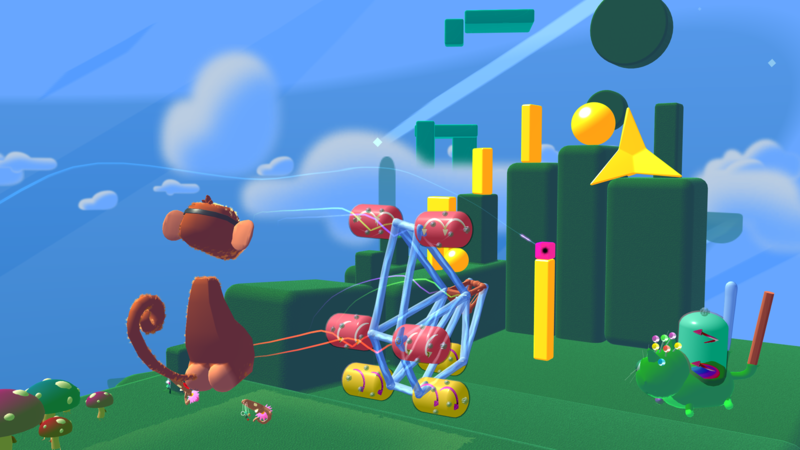 Fantastic Contraptions, in concept, is close to something like Job Simulator. You’re standing in a work space, with a specified area in front of you. You’re stationary, and are essentially using tools and manipulating the area around you to solve puzzles. The goal of every puzzle is to get a glowing pink orb from the space in front of you, across a small green road, to large pink, goopy rectangle to your right. The tricky part is getting it there, since it’s out of the area you can drag, drop, and make workspace in. That’s where your cat friend comes in. Yeah, I’m not kidding, it’s a weird and funny looking cat friend that is super adorable, and creates things from it’s body. By things, I mean twigs, either soft or stiff wooden ones, and little round wheels that will rotate. You pulled these off the back of the floating cat buddy, combining them into a vehicle to carry your orb to its destination. On face value, it’s a bit of a mix concept: job simulator esque in its presentation and vibe, but with some Banjo Kazooie Nuts and Bolts thrown in there too. Different cars and different configurations of vehicles are required, because sometimes the big rectangular goal you’re looking at is in different positions. Maybe it’s super high up, so you have to create a well-balanced car that has twigs sticking two feet in the air straight up to place your orb on. Then it’ll have to move about three feet to your left without toppling over before it hits the goal. That’s where the space and tools become really interesting. The soft and stiff twigs can be stretched and elongated, so they can stand taller or reach further, but at the cost of weight and balance. Maybe the soft ones weigh less, but that means your counterweight on the other end of the car has to be balanced well enough. Anyone who has played Nuts and Bolts or seen any vehicle creation tool before already knows this feel. A much simpler, more quick-to-learn and dumbed down version a Kerbal Space Program. Then the dimensions of having this space actually in front of you comes it. That part is super cool, because things like “oh this needs to be two feet taller” or “this has to go three feet to my right” feel real, and tangible. It’s that same idea of the cursor hovering over your destination’s head saying “40m away” but actually being to tell what 40 meters looks and feels like. It’s not quite my first experience “being in a place” in VR, but it’s definitely the one that sticks out the most as an actual mechanic to further the game. Job Simulator is one that is funny because it’s replicating working behind a desk or at a station, trapped to your confines, and you work in that area, exploiting the absurdity of the situation. 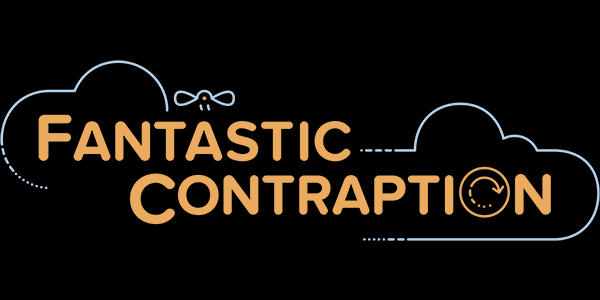 Fantastic Contraptions makes every dimension and part around you important to what you’re doing and what you need to do. It makes the place important to be, to look at, to turn your head, duck undercover, and observe. It makes a puzzle game in VR make sense. 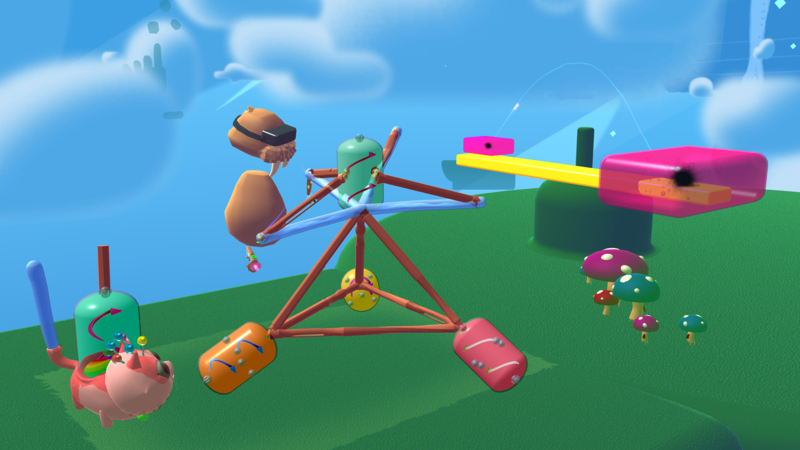 Fantastic Contraptions is out now for HTC Vive and compatible with Oculus Touch, and the PR person from Sony working with me let me know it’s coming to PlayStation VR early next year.